This article was written by Ivo-Meinert Willrodt at PLUTA and first appeared on the PLUTA website. Forum shopping can be arranged by relocation of the registered office or the transfer of assets and parts of the top management from one member state to another, in order to obtain a more favourable legal position to the detriment of the general body of creditors. In this chapter we will examine this in relation to a specific case, the Niki Luftfahrt GmbH insolvency proceedings. What makes this case notable is that the German preliminary administrator tried to change the centre of main interest (COMI) by only argumentation and interpretations of facts, so without relocation of the registered office or the transfer of assets. • and that the majority of the flights were handled in Germany. In an order of 27 December 2017, the same Berlin local court additionally imposed a general prohibition on making dispositions on the debtor. On 2 January 2018, an Austrian creditor (airline passenger rights portal FairPlane) lodged an immediate appeal pertaining to article 5 EIR 2015 and the German article 102c section 4 EGInsO, which went against the above-mentioned decision of the local court of Berlin-Charlottenburg. The creditor had the opinion that the COMI of Niki is located in Schwechat in Autstria and not in Berlin. It also argued that the appointed preliminary administrator had a conflict of interest because he was also the custodian of Air Berlin. The local court of Berlin-Charlottenburg did not remedy this immediate appeal. The negative decision of the local court was passed to the next higher instance, the district court of Berlin. The district court of Berlin overturned with immediate effect the decision of the local court of Berlin-Charlottenburg from 8 January 2018 because of violation of the international jurisdiction. The district court decreed the decision,(3) using the argumentation that the COMI is located in Schwechat in Austria and not in Berlin. (4) In addition, the district court of Berlin decided that for the immediate appeal the laws of article 102c German EGInsO and sections 575, 570 Abs 3 ZPO apply. This led to immediate effectiveness of the decision. Therefore, the possible appeal of the German preliminary administrator to the German Federal Supreme Court against the decision of the district court of Berlin would have no suspensive effect. • For companies, it is presumed, unless proven otherwise, that the COMI is the place of their registered office. • High demands are placed on the refutability of the presumption for the sake of legal certainty and predictability for the creditors. • Moreover, there are no clear prevailing facts that speak for the COMI in Germany. • The incorporation of the Niki company into the Airberlin Group and that the fact AirBerlin is controlling the majority of its operational activities and is making the strategic decisions of Niki cannot be a decisive criterion. • Also, the place of greatest turnover is not relevant to the determination of the COMI. • The court rather concentrates on the public perception. Niki is perceived as an Austrian airline. • Another argument for the COMI in Austria is, that Niki holds an Austrian operational licence and an air traffic testimony from Austro Control. The same Austrian creditor, that applied for the immediate appeal in Germany against the German proceedings, filed an application in the Austrian district court of Korneuburg for opening a main insolvency proceeding against Niki after article 3 EIR 2015 on 2 January 2018. The creditor argued that the COMI for the company was located in Austria. In addition, the German preliminary administrator applied to the same district court on 10 January 2018 to open a secondary proceeding about Niki in Austria after article 3(3) EIR 2015. • all 850 employee contracts are governed under Austrian law and there are no employees in Germany. The international jurisdiction of this case is governed by EIR 2015especially in its articles 3(1) and 5. The concept of COMI is governed essentially in article 3 EIR 2015. (7) The article has been redesigned but retains core elements of the old article 3 of the European Insolvency Regulation No. 1346/2000 from 29 May 2000. 1. The courts of the Member State within the territory of which the centre of the debtor’s main interests is situated shall have jurisdiction to open insolvency proceedings (‘main insolvency proceedings’). The centre of main interests shall be the place where the debtor conducts the administration of its interests on a regular basis and which is ascertainable by third parties. In the case of an individual exercising an independent business or professional activity, the centre of main interests shall be presumed to be that individual’s principal place of business in the absence of proof to the contrary. That presumption shall only apply if the individual’s principal place of business has not been moved to another Member State within the 3-month period prior to the request for the opening of insolvency proceedings. In the case of any other individual, the centre of main interests shall be presumed to be the place of the individual’s habitual residence in the absence of proof to the contrary. This presumption shall only apply if the habitual residence has not been moved to another Member State within the 6-month period prior to the request for the opening of insolvency proceedings. 2. Where the centre of the debtor’s main interests is situated within the territory of a Member State, the courts of another Member State shall have jurisdiction to open insolvency proceedings against that debtor only if it possesses an establishment within the territory of that other Member State. The effects of those proceedings shall be restricted to the assets of the debtor situated in the territory of the latter Member State. (ii) a public authority which, under the law of the Member State within the territory of which the establishment is situated, has the right to request the opening of insolvency proceedings. Article 3 EIR 2015 regulates the international jurisdiction of cross-border insolvency proceedings within the EU and determines which court of the member states has jurisdiction for the main insolvency proceeding. In addition, article 3 EIR 2015 should prevent forum shopping. According to the wording of article 3 EIR 2015, international jurisdiction is an exclusive competence for main insolvency proceedings. Only territorial jurisdiction within that Member State should be established by the national law of the Member State concerned (see recital 27 of EIR 2015). The international jurisdiction also determines the applicable law. Article 7 EIR 2015 provides that the law applicable to insolvency proceedings and their effects shall be that of the Member State within the territory of which such proceedings are opened (the ‘State of the opening of proceedings’), or as otherwise provided in the EIR 2015. An opened main insolvency procedure after article 3(1) EIR 2015 has to be recognized in the respective member states of the EU. This is also valid for an opened secondary proceeding after article 3(2) EIR 2015. The recognition of insolvency proceedings is ruled in article 19 EIR 2015. The aim of article 3(1) EIR 2015 is to ensure that there is only one main insolvency procedure over the asset from the debtor and it has to be at the place where the debtor has his or her COMI. The new sentence 2 of article 3(1), EIR 2015 contains a legacy definition of the COMI: it is the place of administration of the interests that can be recognized by third parties. Jurisdiction to open main insolvency proceedings shall belong to the courts of the member state within the territory where the COMI is situated. The decisive time for the court assessment is therefore the receipt of the petition for the opening of insolvency proceedings before the court, which in its view has jurisdiction. This does not mean, however, that this court must inevitably come to the same conclusion as the debtor. In most cases about COMI from a company, the court can fall back on the old presumption rule, which is now regulated in sentence 1 of article 3(2) EIR 2015. In the case of a company or legal person, the place of the registered office shall be presumed to be its COMI in the absence of proof of the contrary. That is also the ECJ’s opinion. Thus, primarily, it must be determined whether the main administration of the debtor is actually from the perspective of the relevant creditors in the state of the registered office. If so, it remains at the presumption of sentence 1 of article 3(2) EIR 2015. If the member state of the main administration of the debtor and the member state where the place of the registered office is located are different, the COMI is critical. (9)If the main administration is located at the registered office of the company and also their board of directors is recognizable leading the company from this office (the operational management, rather than the strategic management, is essential for this), it does not matter if assets or establishments are located in different member states. Assets or establishments in different member states are of importance only if the majority of the creditors have the impression that the main administration is not located at the registered office. Only in such a situation will additional objective factors, also from a creditor perspective, be required to clarify the jurisdiction for the insolvency proceedings. This means that the COMI must be determined on the basis of criteria that are objective and at the same time ascertainable to third parties. These two criteria must be cumulative and examined individually. The interests are objective when they appear externally and can thus be detected by third parties. (10) This determination must be made by the national local court which the debtor filed his or her petition for insolvency. When determining whether the debtor’s COMI is ascertainable by third parties, special consideration should be given to the creditors and to their perception as to where a debtor conducts the administration of its interests. This may require, in the event of a shift of COMI, information of the new location from which the debtor is carrying out its activities being passed on to the creditors in due course; for example, by drawing attention to the change of address in a commercial correspondence, or by making the new location public through other appropriate means. (11) This is especially important if the perception of the general legal relations and those of the creditors fall apart. In this case, the perception of creditors is crucial, even if the objective criteria and the perception of the creditors differ. It should also be noted that no group of creditors may be privileged. The competent court should examine its own motion before opening insolvency proceedings whether or not the debtor’s COMIor establishment is actually located within its jurisdiction. How far this examination should go is a controversial topic. It is argued that the court has a substantial obligation to investigate; However, it is also argued that the court only has a duty to examine (that is, check in less detail). In all cases, where the circumstances of the matter give rise to doubts about the court’s jurisdiction, the court should require the debtor to submit additional evidence to support its assertions and, where the law applicable to the insolvency proceedings so allows, give the debtor’s creditors the opportunity to present their views on the question of jurisdiction. This means that the court has to decide on the opening of main proceedings has a substantial obligation to investigate. If the creditor perspective is not adequately included in the decision, the court will violate a procedural order of the EIR and the preamble. (12) In general, the court will only demand further examinations and investigations if the case reveals recognizable cross-border relations. Then it is at least reasonable for the court to carry out the above-mentioned inquiries of the creditors and request further proof. It was certainly not the European legislato’s intentionin introducing articles 3 and 5 EIR 2015 that a local member state courtwould have to decide if the suspensive effect of a German immediate appeal had to be handled after the German article 102c EGInsO and section 6 InsO (suspensive effect), or article 102c German EGInsO and sections 575, 570 Abs. 3 ZPO (no suspensive effect). The intention of the European legislator was that the seized court of a request to open insolvency proceedings shall of its own motion examine whether it has jurisdiction pursuant to article 3 EIR 2015. As explained above, the court must first determine whether the main administration of the debtor is actually in the state of the registered office by the perspective of the main and relevant creditors. The decision of local court of Berlin-Charlottenburg does not do that. In its comments the court only considered the perception of third parties. It gave no special consideration to the creditors of Niki and their perception. The local court of Berlin-Charlottenburg should have asked the applicant and in case of doubt would have had to ask the major creditors’ groups. But also the German district court of Berlin did not determine whether the main administration of the debtor is actually in the state of the registered office by the perspective of the main and relevant creditors and it also gave no special consideration to the creditors of Niki and to their perception. It only considered third parties and public opinion, about which it was wrong. The Austrian district court Korneuburg made this mistake as well. But it should be pointed out that at least the Austrian court seemed to be the only one that indirectly took into consideration the perspectives of some possible main and relevant creditors. Normally in such cases the tax authorities and the employees represent parts of the creditors. The court explained that the company was taxable by Austrian law, and that all 850 employee contracts were governed after Austrian law and there were no employees in Germany. So, indirectly, the court had taken into consideration the perspective of these possible relevant creditors. In my opinion all three courts did not make the necessary inquiries and violated their substantial obligation to investigate. But it is questionable whether the courts can be criticized. The objective of article 3 EIR 2015 is to avoid COMI shifting. Each court that receives a request to open insolvency proceedings must be aware that the applicant usually only highlights the arguments that support his or her view, especially if the COMI should be not in the country where the debtor is registered and has perceptible business. This is especially relevant in big and important cases with potentially high fees for the parties involved. A court seized by a request to open insolvency proceedings shall of its own motion examine whether it falls under its jurisdiction pursuant to article 3. This means that the court is obliged to examine carefully and impartially all relevant aspects of the individual case and must give sufficient reason for its decision. If necessary, it has to give special consideration to the creditors of Niki and to their perception. A possible solution would be that the involved or possibly involved national courts (judges) discuss their arguments and positions with each other. The case presented should have been prevented by the introduction by the article 42 EIR 2015, which is set out below. *1. In order to facilitate the coordination of main, territorial and secondary insolvency proceedings concerning the same debtor, a court before which a request to open insolvency proceedings is pending, or which has opened such proceedings, shall cooperate with any other court before which a request to open insolvency proceedings is pending, or which has opened such proceedings, to the extent that such cooperation is not incompatible with the rules applicable to each of the proceedings. For that purpose, the courts may, where appropriate, appoint an independent person or body acting on its instructions, provided that it is not incompatible with the rules applicable to them. It would have been better if the national courts had coordinated their decisions. Such coordinated decisions could prevent difficulties and delays arising, as well as forum shopping by argumentation. (1) ZIP 1/2018, Page 41 ff. (3) Zip 2018, Page 401 ff. This is excerpt from Limitations Periods and the Constructive Trust written by Scott Aspinall at Ground Floor Wentworth Chambers. What is a “constructive” trust? His Honour’s approach was subsequently affirmed by all members of the High Court in Baumgartner v Baumgartner. In a sense, the constructive trust is defined by its differences from the other types of trust. It is different from an express trust because it arises or is raised without reference to the intention of the parties and indeed is sometimes, contrary to the wishes of the constructive trustee. It does not need to comply with the statutory requirements of writing. It is different from an implied or resulting trusts, because whereas in those cases the Court is looking for is the actual or presumed intentions of the parties, in the case of a constructive trust the inquiry goes further as to whether it would be a fraud or unconscientious for the constructive trustee to deny the trust. In 1920, Roscoe Pound, then Dean of Harvard Law School, wrote an article in the published in the Harvard Law Review which drew attention to the fact that, in some recent American cases judges had treated a constructive trust as though it was “something substantial”, in other words, as though it were akin to an express trust which arose without the intervention of the Court, but that in other cases, the constructive trust was used by the Court as a “remedy” in the same way as, for example, an order for specific performance, or a declaration. Pound noted that distinction for the purpose of expressing his view that to regard the constructive trust as anything other than remedial was incorrect. Ironically, the distinction which Pound identified as incorrect, became at least in some countries, a routine way classify constructive trusts. Scott practices primarily in the areas of domestic and cross-border insolvency, banking and commercial litigation. In 2015 he became the first member of the NSW Bar to be made a fellow of INSOL International and in 2016 was appointed as a member of INSOL’s Taskforce Committee. INSOL Fellows Forum Education Session in Sydney – Another Winner! Report by Allan Nackan, Farber Financial Group and Lucas Kortmann, RESOR N.V.
Sydney 2017 was another resounding success for the Fellows group. It was jam-packed with opportunities for networking and exchanging valuable insights with colleagues. The Fellows community continues to make a significant contribution across many of INSOL’s initiatives. This vibrant contribution was most evident during INSOL’s 10th World Quadrennial Conference, including the following: (1) the leadership role that Scott Atkins, Henry Davis York (Australia), assisted by other Fellows, played in Taskforce 2021 and the launch of INSOL’s strategic plan in Sydney; (2) a stellar contribution by Peter Gothard, Ferrier Hodgson (Australia) as technical co-chair at the main conference; (3) the many Fellows who populated panels and showcased their expertise; and (4) the highlight of the first day of the conference (and perhaps the entire conference), the case study and film presentation regarding the restructuring of TopOil. The case study was written by Fellows Sam Bewick, KPMG (U.K) and Craig Martin, DLA Piper (USA) and starred Jane Dietrich, Cassels Brock & Blackwell LLP (Canada) and David Molton, Brown Rudnick (USA). Not only does being a Fellow advance your restructuring career, it also appears to advance your writing and acting careers! The Fellows Dinner and social function on Saturday evening was a friendly and casual gathering to catch-up with our Fellow colleagues from around the world. It was gratifying to see how much the program has grown and the number of Fellows in attendance. Many thanks to the generous support of our sponsors of the Fellows’ functions: Archer Law, the Commercial Bar Association of Victoria, Grant Thornton and Henry Davis York. The newly branded Fellows’ Forum on Sunday morning was an engaging and informative education session, co-chaired as usual by Allan Nackan of Farber Financial Group (Canada) and Lucas Kortmann of RESOR N.V. (Netherlands). Our panelists showcased their expertise as they presented on a broad range of technical topics and real-world case studies. The opening panel was titled: What’s Happening in APAC? Latest developments from Australia and the Asia Pacific Region – Matt Byrnes, Grant Thornton (Australia) and Scott Atkins, Henry Davis York (Australia) updated us on latest insolvency reforms in our host country, Australia. Scott Atkins also updated the group on the important outreach work being done by his firm and others in Myanmar. Finally, Eddie Middelton, KPMG provided captivating insights from Hong Kong. Focus then switched to Europe and a stimulating discussion on the practical implication of Brexit for the Insolvency profession, titled Will Frankfurt Become the NEW London? 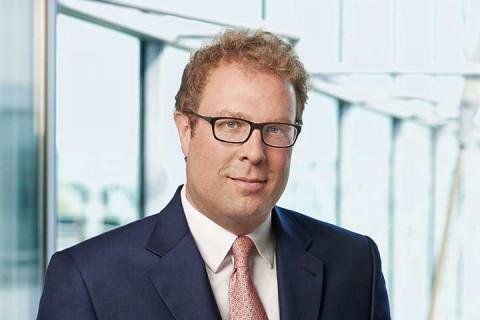 – Mark Craggs, Norton Rose Fulbright (UK) advocated for London to retain its status as an important jurisdiction, particularly due to the ongoing popularity of English Schemes of Arrangement. Christel Dumont, Dentons (Luxembourg) and Robert Schiebe, Schiebe und Collegen (Germany) passionately presented the pros and cons of their home jurisdictions playing an increasing role in restructurings within the European Union. The final technical panel was aptly named Leading Edge Developments in Cross-Border Workouts – Nico Tollenaar, RESOR N.V. (Netherlands) discussed legislation that is currently being prepared at both the European and the national levels to introduce “pre-insolvency” proceedings, with a view to rescuing distressed businesses before formal insolvency proceedings commence. Erin Broderick, Baker & McKenzie LLP (USA) presented on avoidance powers in US Chapter 11 proceedings and their extra-territorial effect. Jeffrey Oliver, Cassels Brock & Blackwell LLP (Canada) rounded off the panel with a discussion of environmental considerations for insolvency practitioners and the latest on priority issues relating clean-up obligations in Canada, with particular reference to the Redwater case in Alberta. The session ended on a high note with the Abengoa case study– In this interactive Q&A session, R Craig Martin, DLA Piper (USA) provided his valuable insights on the legal, cross-border and practical matters that come into play when implementing a global restructuring plan such as Abengoa, which had significant operations in Spain, USA and around the world. Lively participation from the audience during all sessions added significantly to the learning experience. This level of engagement flows naturally in a small group who know each other so well and who have highly-developed expertise in their subject area. After the education session, brave members of the Fellows group ascended to new heights by climbing the Sydney Harbour Bridge and were rewarded with spectacular views of the harbour. We are looking forward to gathering again in New York in 2018.